The next Council Meeting will be Monday, May 13, 2019 at 6:30 p.m.
All persons or companies wishing to solicit Canton businesses or residents for business, must first obtain a permit issued by the City and pay the necessary fees, a copy of the application may be printed here,Peddle Permit, or obtained from City Hall. Thank You. 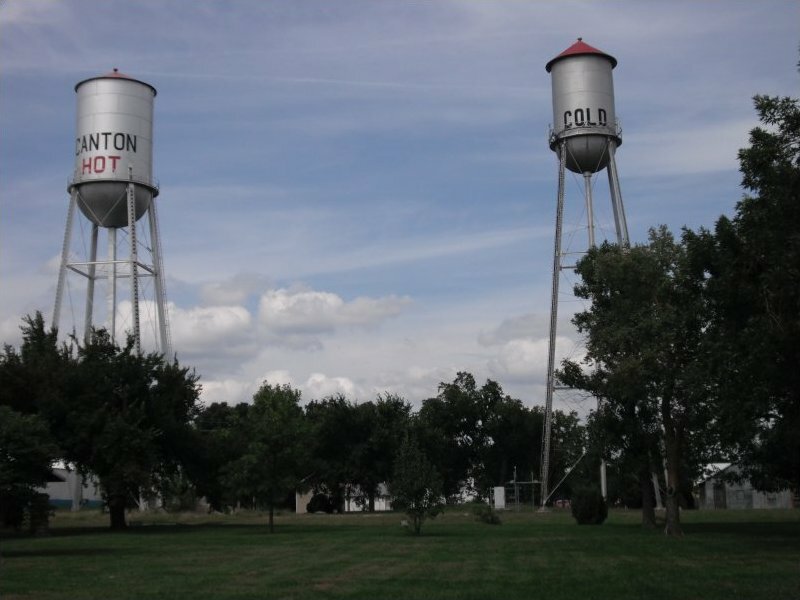 Canton boasts of two water towers labeled HOT and COLD. This unique attraction is cause for much speculation from those traversing the area.